Combine flour and salt in a mixing bowl. Whisk in vegetable oil. Gently beat in beer and water with a wire whisk. Add egg yolk blend well. Cover witha clean cloth and let stand in a warm place for two hours. Just before frying the shrimp, beat the egg white until stiff. Fold beaten egg white into the beer batter. In a deep skillet or wok, heat oil to 350 degree F. To test temperature, drop ina bit of the batter. If it floats up right away, the oil is ready. With tongs, dip shrimp one at a time into better. Drop into the hot oil. Fry just enough pieces of shrimp without crowding the pan. The shrimp float to the surface as they get cooked. Stir gently to cook the shrimp evenly until golden brown and crisp. Remove excess bits of batter from the oil so these do not burn. 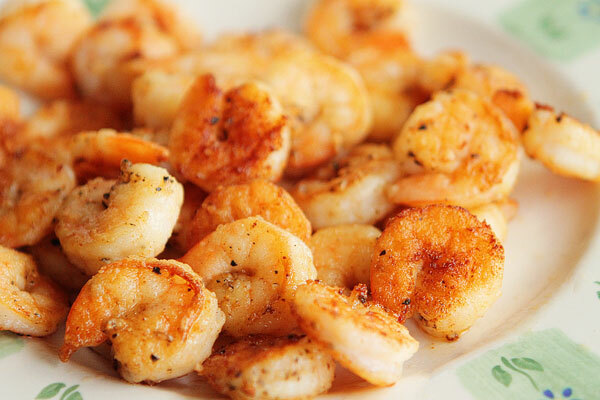 Drain fried shrimp on paper towels to remove excess oil. Serve immediately while crsp with a mayonnaise sauce or chili vinegar dip. If the shrimp get soggy, re fry in very hot oil for a few seconds to make them crsp again.